Eric T. Werlinger concentrates his practice on appellate litigation, securities litigation and enforcement, white collar criminal defense, and patent litigation. He has experience representing clients in civil and criminal matters at every level of litigation, including before the US Supreme Court. In his years of experience as an appellate litigator, Eric has authored numerous briefs and dispositive motions in a variety of matters, including False Claims Act suits, Title VII litigation, patent infringement suits and contractual disputes. Among his notable cases, Eric represented a group of criminal law professors before the Supreme Court as amici curiae in a white collar matter arising under the Sarbanes-Oxley Act. He also served as counsel to a large government vendor in a multibillion-dollar suit under the False Claims Act, in which he assisted his client to a complete victory at both the trial and appellate levels. In state court, Eric successfully represented a major real estate investor in a complex, fast-moving contractual dispute, obtaining dismissal with prejudice in a month's time. Eric also has a wealth of experience defending companies and individuals against securities class action litigation, shareholder derivative suits, and US Securities and Exchange Commission (SEC) investigations and enforcement actions. He recently represented a major pharmaceutical company in a federal court of appeals, securing final dismissal of a putative class action under the Securities Exchange Act of 1934. 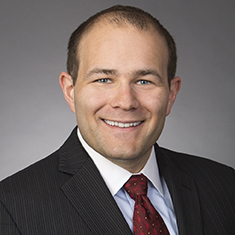 Likewise, Eric has helped a variety of clients navigate dispositive briefing under the Private Securities Litigation Reform Act, and has counseled both entities and individuals with responses to SEC and US Department of Justice investigative requests. Further, with his knowledge of the Patent Act and the Hatch-Waxman Act, Eric is an invaluable resource for generic pharmaceutical companies facing patent and regulatory litigation. In district court, he regularly assists teams with dispositive motions and trial briefing in patent disputes. If the matter is appealed, Eric leverages his extensive appellate experience to defend his clients before the Federal Circuit. On the regulatory front, Eric has counseled his clients in proceedings before the Food and Drug Administration, as well as administrative litigation in federal court. Prior to joining Katten, Eric served as a law clerk to the Honorable Danny J. Boggs of the US Court of Appeals for the Sixth Circuit. He also served as an intern for the Honorable Royce C. Lamberth of the US District Court for the District of Columbia and the Honorable Sim Lake III of the US District Court for the Southern District of Texas. While in law school, Eric was an articles editor for the Texas Law Review and a national champion brief writer and oral advocate for the law school's Duberstein Bankruptcy Moot Court team. Co-author of an opposition brief in the Tenth Circuit defending a medical device company against claims of securities fraud involving allegations of channel stuffing. Successful representation of two portfolio managers in the DC Circuit on a petition for review of administrative findings and penalties assessed by the Securities and Exchange Commission related to the use of derivative hedging strategies. Defend complete dismissal of a putative securities class action on behalf of leading biopharmaceutical company in which plaintiff argued that the company omitted information regarding regulatory proceedings before the Food and Drug Administration from its public filings. In re Amarin Corp. PLC Sec. Litig., 689 F. App’x 124 (3d Cir. 2017). Assistance to a genetic-testing company with an appeal to the Ninth Circuit of a remand order involving complex jurisdictional issues under Article III of the US Constitution and the Securities Act of 1933. Representation of a start-up recycling company in a securities suit involving allegations of misstated inventory and goodwill valuations and allegedly inadequate internal controls. Counsel to a medical group facing allegations of false Medicare billing and whistleblower retaliation under the False Claims Act. Defense of a super-regional bank in a putative securities class action suit involving allegations regarding the bank’s internal controls over underwriting and reserving for loan loss. Representation of a major hospitality company as plaintiff in a contractual dispute in Fairfax Circuit Court, prevailing on a demurrer to counter claims and navigating the case to a favorable resolution. Preparation of a successful motion to dismiss for a lender who was pled into a third-party contract dispute on the eve of trial. Unable to respond to the motion, plaintiff voluntarily dismissed the client in a matter of days. Frank Investments Ranson, LLC v. Ranson Gateway, LLC, No. 11101-VCS (Del. Ch. 2017).